You'll be £12.99 closer to your next £10.00 credit when you purchase Railway Memories: Barnsley and Beyond. What's this? 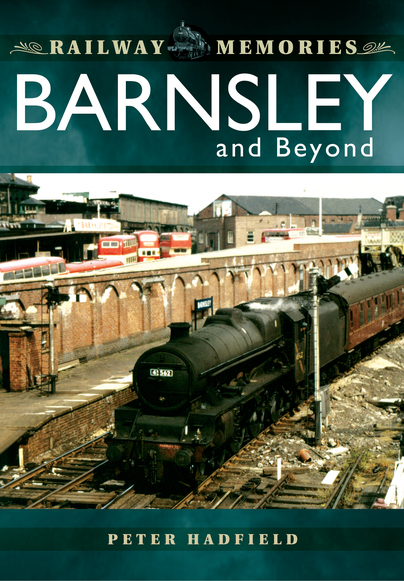 A collection of memories of a bygone age of the railway system that operated around the Barnsley area and beyond. It was a time when steam was still king (the local passenger, expresses and freight traffic were worked by steam), however the advent of diesel, although not initially noticeable, was gradually taking place.rnrnTowards the end of the 1950s and throughout the 1960s, rationalisation of the railway system and mass dieselisation took place, culminating in the end of steam on British railways (with the exception of the running of the Flying Scotsman) in August 1968.rnrnMany of the previously unseen photographs in this book include those of Royston Shed's steam fleet during the last months of working, before closing to steam officially on 4 November 1967; Thompson B1s, ex-Great Central Directors and Royston 8Fs at Stairfoot; an ex-Midland engine hauling an express over Swaithe viaduct; Barnsley Court House station prior to closure in 1960 and the famous Flying Scotsman's visit to Barnsley on 21 June 1969. Barnsley and Beyond exposes a huge amount of contemporary photographs of steam engines in the service of the British Railway System around the Barnsley area. The book consists of 143 pages of high quality prints and a wealth of information.